Eureeka, I think we got it! Another cold, rainy, magnificently productive day. As I leaned over the white porcelain basin, attempting to create facial perfection with brushes of pink hues and golden flecks, piano notes floated through the atmosphere gently landing on my inferior colliculus. They were beautifully simple and wonderfully sad. At first foreign and lovely then suddenly familiar. 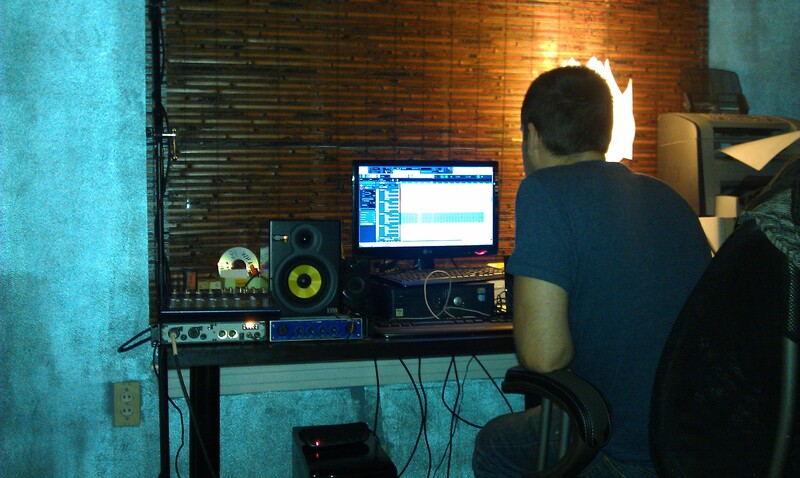 It was the melody of the song we are working on. I was amazed that I had witnessed something I helped to create, objectively and that I truly appreciated it as well. I am blessed to be surrounded by the endless musical brilliance of my cohort. Whether I am writing on my chaise, snuggling with my children, cleaning mercilessly or practicing guitar, the tonal pleasure of multiple musical instruments invade my senses. Ideas rush like adrenaline down my synapses, just as intoxicating and more than equally numbing. This addictive state of creation fiends for me and I am in love with it. A union forged out of necessity, it is sustaining my optimism. An aroma of nag champa and jasmine linger in my nostrils as I breath deeply before expelling sound. 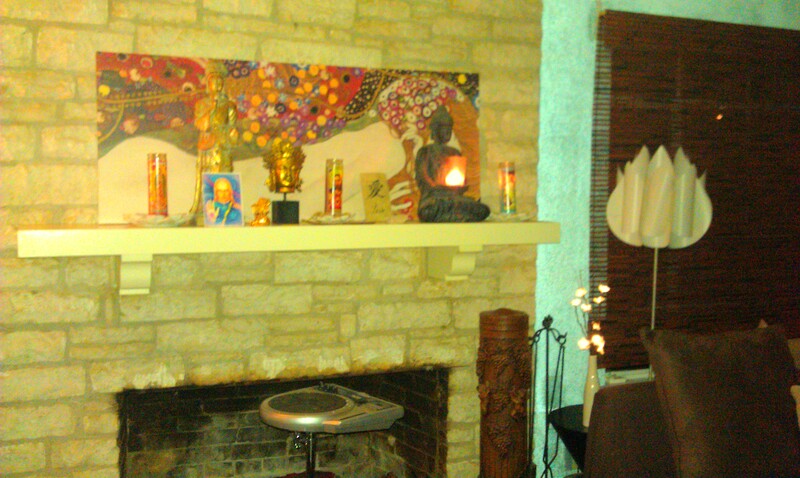 Equipment fills my living room where candles flicker and Buddha’s meditate. The bamboo shades add a wooden warmth to the recording space. Every few moments a canine cutie or a feline friend will strut by as if to deliver their approval. Time is absent and the production is all-consuming. The memories of him hauntingly present with every lyric representing the pain of past actions. A medieval leaching, the venom is sucked out by innovation. I have become like a scorpion, transmuting his poison. I lay blessings and offerings before my altar of muses and give thanks to the artist within. She has been trapped in the depths by self-loathing and doubt. Now awakened she flies like the Phoenix, hopefully towards liberation. A brief interlude of thought and expression before the concentration of creation resumes.